There's also a PDF of this little bit of History in English. • 180 BC: the Romans, based in Pisa, definitively defeat the Ligurians; the Roman penetration into the Valle del Serchio begins. • 7th cent. 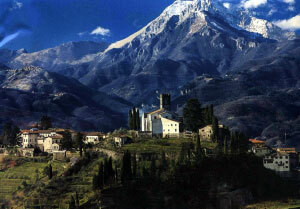 : Barga is the fief of the Lombard Rolandinghi family. Later it is part of the Tuscan marquisate as a free Commune favoured by the countess Mathilde of Canossa; the privileges are granted by the Emperor Frederick I Barbarossa. • 13th cent. : Barga, helped by the Pope and the Pisans, fights to free itself from the rule of Lucca. But in 1236 Lucca, backed by the strength of money and arms, expands its dominion over Garfagnana, dividing it into the three vicarages of Castiglione, Coreglia and Barga. In 1298 Lucca destroys the city walls to punish the smuggling of Barga merchants who, evading custom duties, furnished the Florentines with wool, silk, and sheep’s milk cheese. • 1328: upon the death of Castruccio Castracani, lord of Lucca, Barga voluntarily submits to the Florentine Republic. 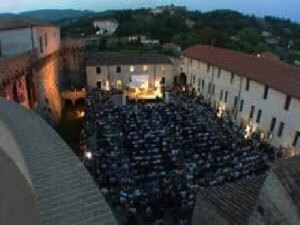 The deed (1331) is the consequence of the political crisis in Lucca, and Barga takes advantage of it. The union with Florence brings economic benefits to Barga, such as exemption from many taxes and duties. • 1436-37: Piccinino, a condottiere under the hire of the Visconti of Milan, lays siege to Barga, using bombards for the first time to open breaches in the walls. But Florence sends another famous condottiere, Francesco Sforza, to help its loyal subjects, and he liberates Barga from the siege. Under the protection of the great military and financial might of Florence, Barga enjoys a long period of peace lasting until the Napoleonic occupation. • 1859: the Unification of Italy causes serious economic damage to Barga, which suddenly loses its flourishing trade with the nearby towns belonging to the states of Lucca and Modena. A period of depression ensues, inciting many people to emigrate from Barga. Barga’s history reads like a “Who is who” in the annals of Italy’s history....some names are now famous and part of the fabric that later became the Kingdom of Italy. Francesco Sforza is one of those that made history, perhaps the equivalent of Superman in our present world, but he was real! And Giulius Caesar; I wonder if he stopped by the Ponte Vecchio in Barga to have a dish of Zuppa di Farro on his way to conquer France and England? Barga in my mind is what made the Garfagnana.....a region where the wolves and cinghiali roamed the mountains (and still do) searching for the black and white truffles common in the area and in turn being hunted by the “boscaioli” that made a living in the great chestnuts forests surrounding the town. Those boscaioli must have come back to Barga occasionally to choose their mates, ladies as strong as beautiful as the land that gave them birth. At the top and still part the Garfagnana region is the Lunigiana region, perhaps God’s gift to Italy, a land of valleys and sea and forests and sun and white sparkling Carrara marble and the poetry of the “Cinque terre”. Slowly this part of Italy is being discovered by the rest of Europe....a pity for the rest of us. 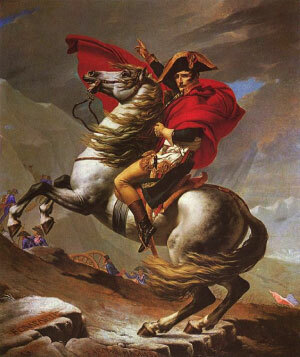 I wonder how many people know that Napoleone Buonaparte’s family came from the Lunigiana region. In fact the family were originally nobles from San Miniato and were close friends of the Medici. In 1527 there was a rebellion, (the Guelfi and Ghibellini). The Buonaparte backed the wrong side and were kicked out of Florence, but later were reinstated by Alessandro dei Medici. 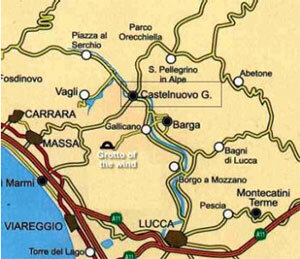 A branch settled in Sarzana,located in the Lunigiana region of Tuscany and from there, after backing the wrong side once more, they settled in Aiaccio, Corsica, which at the time belonged to Genoa. Eventually Corsica was ceded to France and Napoleon, when 15 years old, became French. The rest is History. Sarzana is only one and one half hour away from Barga and when I go to Tuscany again I tell myself that I will stop there on the way to Viareggio, but I never do...... The picture I enclosed of their yearly festival will have to suffice.